When an Asantehene, or king dies, the Asantes of Ghana memorialize his passing with the adage: “A GREAT TREE HAS FALLEN.” I M Lewis died–to be in a better place—on last March 14 of a heart ailment. With his exit, a mighty force was taken from the earth to let him join the multitude of departed scholar Olympians. Prolific and versatile, with a masterly and magisterial expertise on an extended range of subjects from Shaminism to social anthropology to sub-Saharan Islam to the Deanship of Somali Studies, of which he was not only the Founding Father, but also its reigning prince. Ioan Myrddin Lewis was born on January 30, 1930, in Glasgow (Scotland) to a Scottish mother and a Welsh father. The parents met in Iraq where the father was a journalist –- maybe an editor as well —of The Mesopotamian Times. Following marriage, the couple returned to Britain. Ioan’s early life was spent in London, and when a boy of seven, his father died from tuberculosis, possibly on account of the gassing he sustained in WW I. The mother went back with the young Ioan to Glasgow to live with grandparents, to whom the boy was extremely attached. Ioan completed secondary and college education, respectively at Glasgow High School and University of Glasgow, where the future anthropologist majored in chemistry. With the new emphasis after WW II on scientific education in British academia, he took advantage of a grant by the Social Science Research Council, then seeking young scientists to study the social sciences with the aim of making the methods of the latter comport more closely with those of the physical sciences. He earned a Diploma and a Master’s at the Oxford Institute of Anthropology, supervised by such academic luminaries as Franz Steiner and the world- renowned E. E. Pritchard, affectionately known as E.P. by colleagues. More valuably, Oxford was also where he met the stately Ann, his future wife. Upon leaving Oxford, Ioan was now ready to enter the working world; he took a job at Chatham House in London as a research assistant to Lord Hailey, working on “The African Survey”. On account of his supervisors’ interest in Somalia, Lewis’s passion for Somalia was ignited. And in 1955 Ioan and Ann, who he married in 1950, set out to Somalia under a grant from the Colonial Office. In Somalia, Ioan, as the phrase goes, “went native,” setting up camp among the nomads, moving with them from grazing grounds to grazing grounds, carrying out extensive research (1955-1957). Upon returning to England in 1960, Ioan completed the write- up of his research and received a PhD in Anthropology from Oxford University. 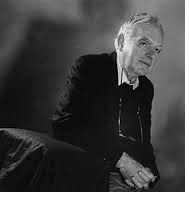 The resulting work from his Somalia research was his masterpiece, A Pastoral Democracy (1961), the pioneering study that changed the face of social anthropology. Before and after the completion of his graduate research, Ioan did various stints of lectureships: at the then University of Rhodesia, University of Glasgow and University College, London. Thereafter, he joined the faculty of the London School of Economics and Political Science in 1969. He was 39 years old, the youngest professor in Britain. Lewis’s oeuvre includes more than a dozen seminal books, dozens of book chapters and scores of razor-sharp articles. He is survived by his wife, Ann, daughters Joanna and Sally, and son, David. Dr. Samatar is a Professor of African American and African Studies, Department of History and Editor of the Horn of Africa Journal. Prof Samatar is also a regular contributor of WardheerNews.